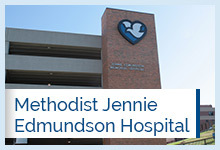 A trip to an emergency room is something you or a loved one may never have to face, but when there is an emergency and seconds count, the emergency departments at Methodist Hospital, Methodist Jennie Edmundson Hospital and Methodist Women’s Hospital offer state-of-the-art emergency care. 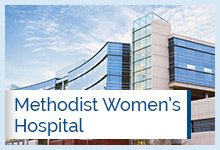 All three emergency departments treat men, women and children with emergency needs. 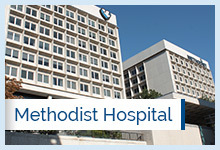 Methodist emergency departments are staffed by doctors and nurses trained in emergency medicine. The emergency care team will assess you or your loved one’s condition to determine the best treatment plan. After your test results have been reviewed and your condition has been assessed, the emergency room physicians will decide if you will be discharged or admitted to the hospital. Any hospital admission and ongoing care will be directed by your primary care physician or a hospitalist. Patients who are treated in the emergency department and discharged are provided with complete discharge instructions. It is very important that patients follow up with their private physician as soon as possible. Looking for an Urgent Care? Check out our Urgent Care locations.